You know, people focus on Altair and Ezio and Connor as the faces of Assassin's Creed, but Ubisoft's historical action series is really Desmond Miles' story. So it's a bit weird that we haven't seen what the Assassin descendant looks like in Assassin's Creed III's new Anvil engine. The screens here come from Assassin's Creed Chile page on Facebook. 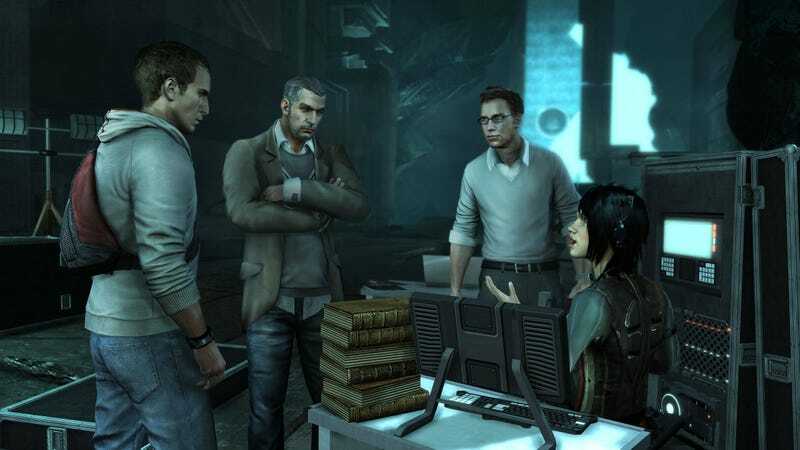 One appears to portray Desmond along with Animus-operating allies Shaun Hastings and Rebecca Crane. Rebecca's character model appears to have gone the most drastic changes. Do you see any big differences here?